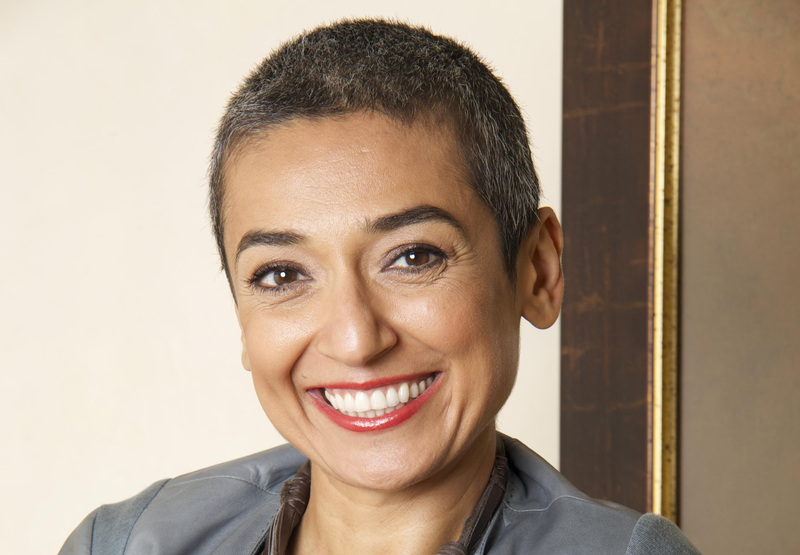 The 2016 Carol Hoffmann Collins Global Scholar-in-Residence is Zainab Salbi, an Iraqi-American author, media presence, and activist. Salbi has dedicated her life to women’s rights and freedom. She is the founder of Women for Women International, a humanitarian organization that distributes aid and microcredit to help women survivors of wars to rebuild their lives. As editor-at-large for Women in the World, a news platform produced in collaboration with the New York Times, she reports on the intersection of Middle Eastern and Western cultures. Each fall, the McCulloch Center for Global Initiatives at Mount Holyoke College welcomes an international scholar-practitioner to campus. The goals of this learning opportunity are many: To engage the community in formal and informal dialogue on critical global issues. To foster global citizenship by broadening students’ cross-national perspectives and awareness through listening and questioning. And, quite simply, to inspire. A Mount Holyoke education is synonymous with a global education. By actively engaging with problem-solvers, activists, Nobel Peace laureates, and policy makers—hearing their stories, their motivations, their struggles, and their successes—students make connections. Their conversations and thoughts deepen. Seeds for change are planted. At the heart of this process? The underlying conviction at Mount Holyoke that educating future leaders must be done on a global scale. Because anything short of that is inherently shortsighted. To hear Salbi reflect on two issues related to the October 13 lecture she gave to campus, “Women, Islam, and the Middle East,” watch the videos.